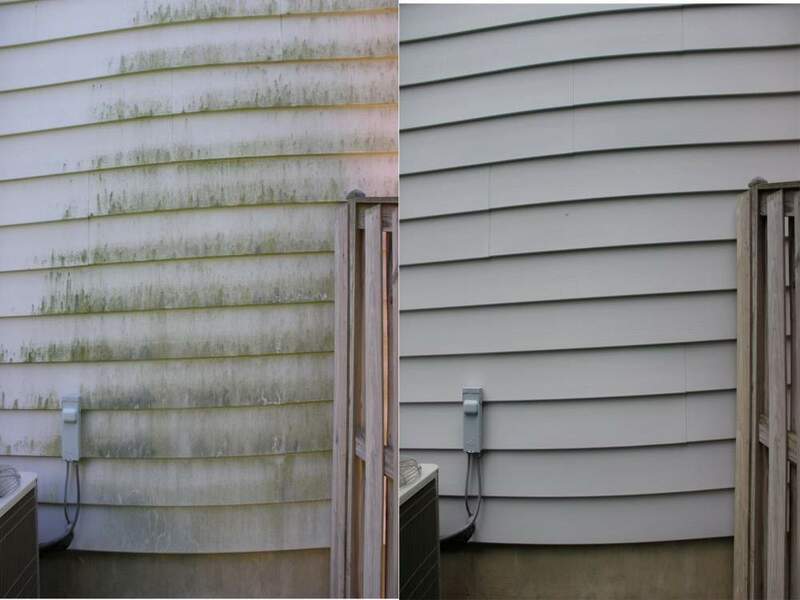 Vinyl siding can easily be cleaned with a mild detergent and the use of a pressure washer. You also need to ensure that the pressure washer is not on a very high setting. This can ruin the outside of the home and put holes through the siding. It is recommended that homeowners hire a professional to do the power washing that they’d like to have done on the siding of their home. This way, accidents are minimized, and you reduce the chance of having something bad happen to the siding. When you want to clean the outside of your home, it is important to consider all that comes with pressure washing. It is generally not a job that should be done on your own since it can be dangerous. Professionals are skilled and knowledgeable on using the machine, so that it doesn’t cause damage to the property or harm to those that are nearby or using the machine. Pressure washing the outside of a vinyl home can also be done to remove mold and mildew that might have grown in places. This is a gentle way to clean it off and then scrub the area to kill any spores that might be left behind. Make sure to clean the outside of your vinyl home with a pressure washing contractor. They can come out and provide the necessary services when needed. This is always a good thing to consider when it comes to washing the outside of any home. Contractors Today is the only company you need when you want to find the top pressure washers for your home. If you want to know more about them or get in contact with the best ones, fill out our form below or give us a call today!